September 28 (listening session, 11:00 am - 12:30 pm ET or 2:30-4:00 pm ET) From Margins to Center: Listening Sessions for Racial & Economic Equity ~ Economic Justice and Policy staff with State, Territory, or Tribal DV / SA Coalitions, Center for Survivor Agency & Justice, Women of Color Network, Inc., Southwest Center for Law and Policy, Asian Pacific Institute on Gender-Based Violence, Casa de Esperanza, Texas Council on Family Violence, Kirwan Institute for the Study of Race and Ethnicity, Bill Kennedy, and Camille Holmes. Register. 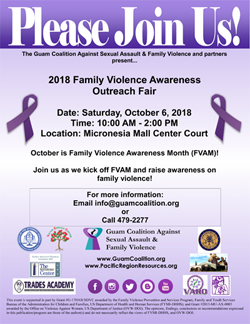 Parenting Awareness and Education for Perpetrators of Domestic Violence: Fathering After Violence and the Responsible Fatherhood Program, Center for Court Innovation and Emerge. Register. September 27 (webinar, 2:00-3:30 pm ET) Parenting Awareness and Education for Perpetrators of Domestic Violence: Fathering After Violence and the Responsible Fatherhood Program, Center for Court Innovation and Emerge. Register. 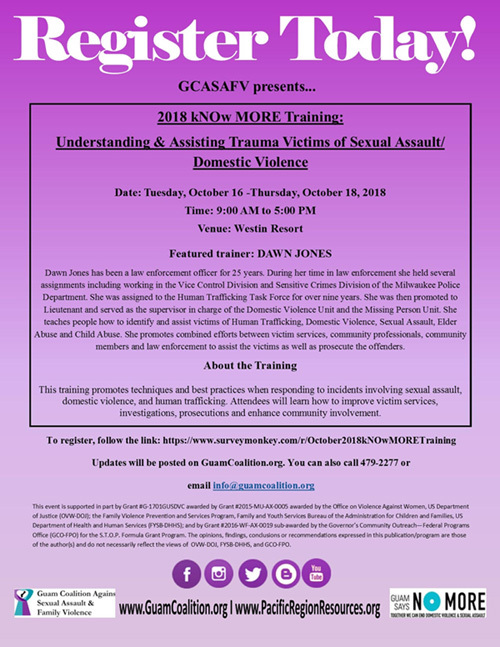 Expert Q&A: Victim-Centered Approaches to Family Violence, Office for Victims of Crime Training and Technical Assistance Center. 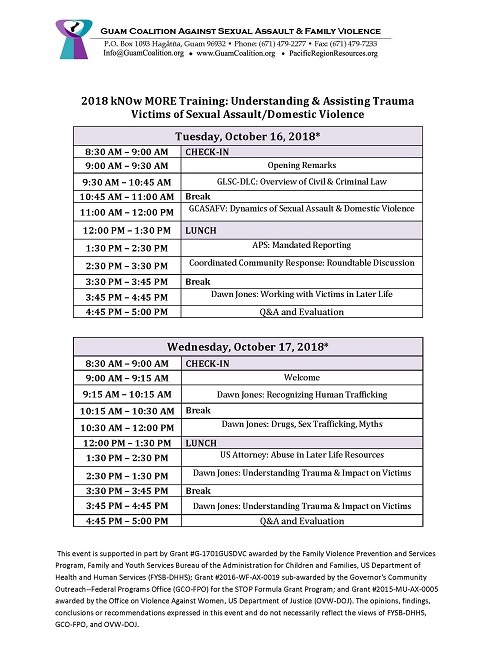 September 27 (online discussion, 2:00-3:00 pm ET) Expert Q&A: Victim-Centered Approaches to Family Violence, Office for Victims of Crime Training and Technical Assistance Center. Medical Providers: ACES & Why They Matter in Healthcare, Indian Health Service. September 26 (webinar, 2:00-3:00 pm ET; repeats are 10/17 and 11/15) Medical Providers: ACES & Why They Matter in Healthcare (part 1 of 3 repeat), Indian Health Service. Trauma Informed Care and Historical Trauma Informed Care for Non-Provider Staff, Indian Health Service. September 26 (webinar, 12:30-1:30 pm ET; repeats are 10/17 and 10/31) Trauma Informed Care and Historical Trauma Informed Care for Non-Provider Staff (part 1 of 3 repeat), Indian Health Service. 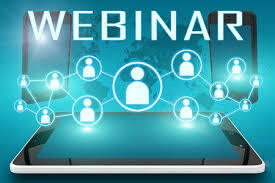 National Campus Safety Awareness Month Webinar Series ~ First Step: Training Campus Safety Professionals, Clery Center. 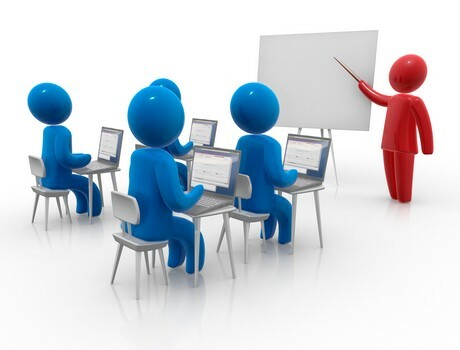 September 21 (webinar, 12:00-1:30 pm ET; part 4 is 9/28) National Campus Safety Awareness Month Webinar Series ~ First Step: Training Campus Safety Professionals (part 3 of 4), Clery Center. What Happens When Criminal Defendants Fail to Pay Restitution?, National Alliance of Victims' Rights Attorneys & Advocates. 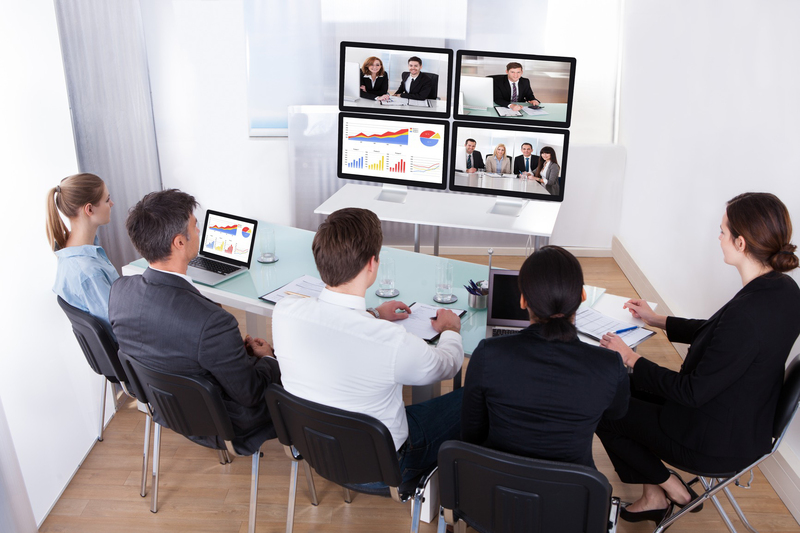 September 20 (webinar, 12:00-1:05 pm PT) What Happens When Criminal Defendants Fail to Pay Restitution? (scroll down), National Alliance of Victims' Rights Attorneys & Advocates. 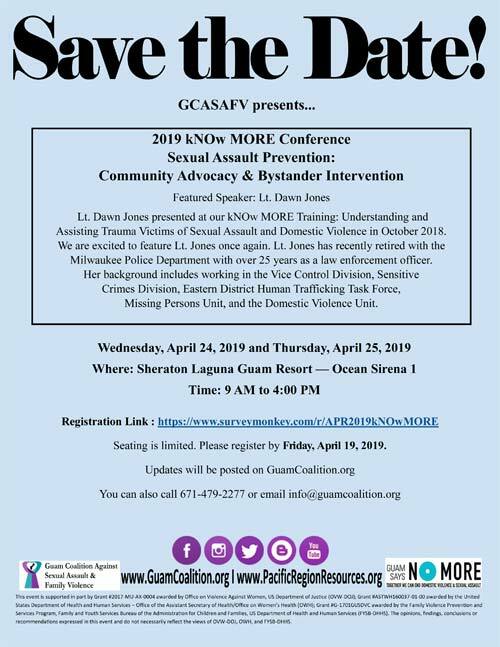 From Research to Practice: Addressing Shared Underlying Factor to Prevent Sexual and Domestic Violence, PreventConnect and Prevention Institute. 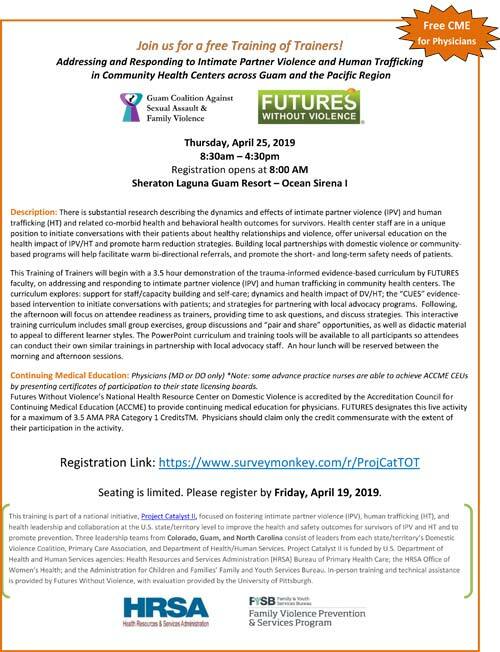 September 20 (webinar, 2:00-3:30 pm ET) From Research to Practice: Addressing Shared Underlying Factor to Prevent Sexual and Domestic Violence (scroll down), PreventConnect and Prevention Institute. 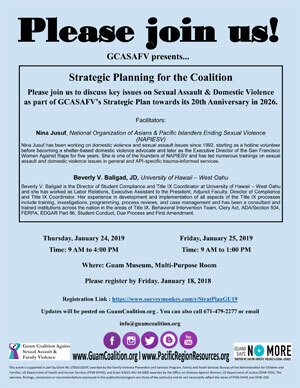 Documenting VAWA 2013 Activities, Challenges and Accomplishments, Violence Against Women Act Measuring Effectiveness Initiative. September 20 (webinar, 2:00-3:00 pm ET) Documenting VAWA 2013 Activities, Challenges and Accomplishments, Violence Against Women Act Measuring Effectiveness Initiative. 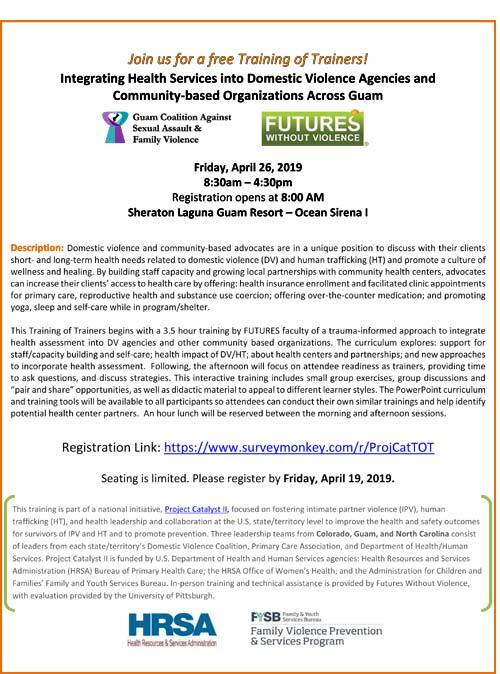 Addressing the Roots: Preventing Multiple Forms of Violence through Shared Underlying Factors, PreventConnect and Prevention Institute. 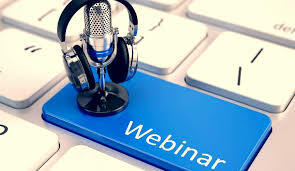 September 20 (webinar, 2:00-3:30 pm ET) Addressing the Roots: Preventing Multiple Forms of Violence through Shared Underlying Factors, PreventConnect and Prevention Institute. Name, Frame and Respond: How to Respond to Harassment, National LGBTQ Institute on IPV. 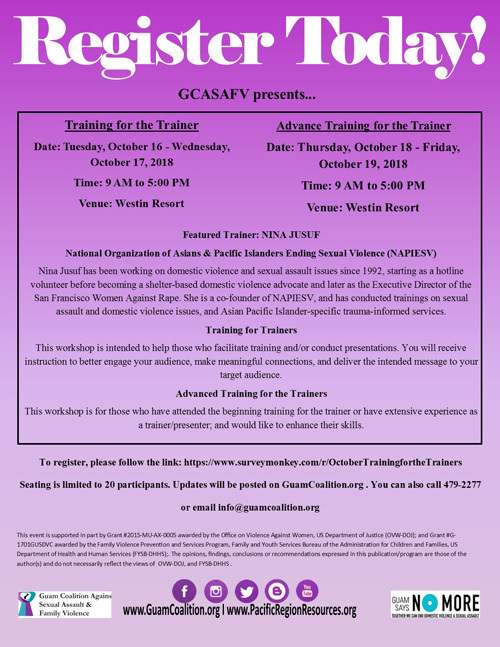 September 19 (webinar, 2:00-3:30 pm CT) Name, Frame and Respond: How to Respond to Harassment, National LGBTQ Institute on IPV. Allstate Foundation Purple Purse Moving Ahead through Financial Empowerment Curriculum ~ Module 1: Financial Safety Planning, National Network to End Domestic Violence. To join, use the following link: https://nnedv.adobeconnect.com/ej/. September 19 (webinar, 2:00-3:30 pm ET; modules 2-5 are 10/24, 11/21, 12/19 and 1/16/18) Allstate Foundation Purple Purse Moving Ahead through Financial Empowerment Curriculum ~ Module 1: Financial Safety Planning, National Network to End Domestic Violence (1 of 5 modules). To join, use the following link: https://nnedv.adobeconnect.com/ej/. Integrating Trauma Informed and Historical Trauma Informed Care in Behavioral Health Interventions with American Indians and Alaska Natives, Indian Health Service. September 19 (webinar, 12:30-1:30 pm ET; repeat is 10/10) Integrating Trauma Informed and Historical Trauma Informed Care in Behavioral Health Interventions with American Indians and Alaska Natives (part 2 of 3 repeat), Indian Health Service. 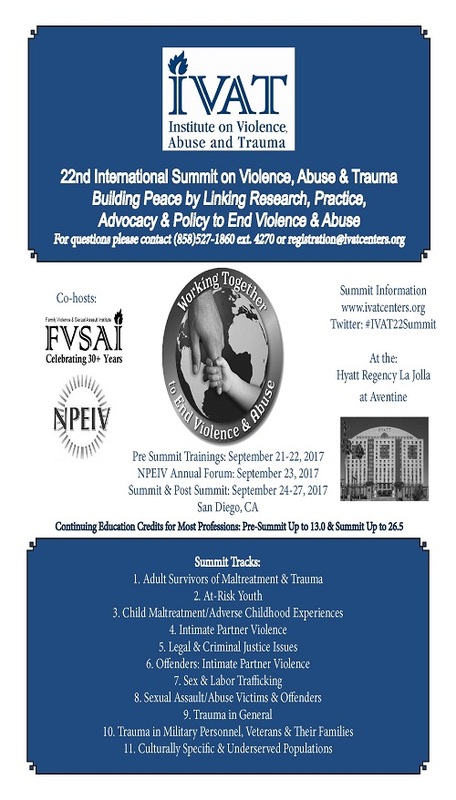 How to Expand an Existing SANE Program, Office for Victims of Crime, in collaboration with International Association of Forensic Nurses. Review SANE Program Development and Operation Guide. 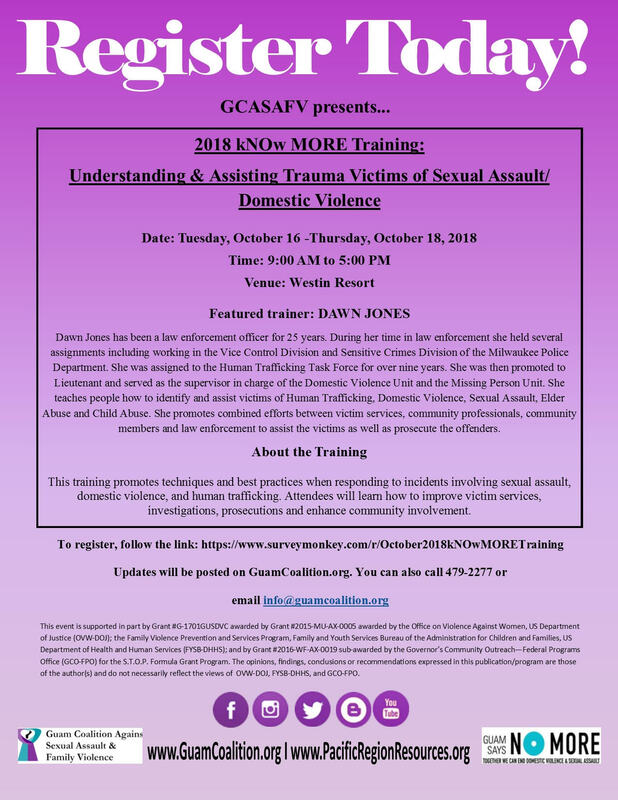 September 18 (webinar, 2:00-3:30 pm ET; part 3 is 9/29) How to Expand an Existing SANE Program (part 2 of 3), Office for Victims of Crime, in collaboration with International Association of Forensic Nurses. Review SANE Program Development and Operation Guide. Research to Practice: Considerations for the MDT Approach to Recantation, National Children's Advocacy Center. September 15 (webinar, 1:00-2:00 pm CT) Research to Practice: Considerations for the MDT Approach to Recantation, National Children's Advocacy Center.